Finally watched Ginger Baker in Africa this evening. When Damon Albarn was a dribbling toddler, Baker drove from the UK to Lagos to hang out with Fela and set up a recording studio. Apart from some inspiring footage of Fela in concert in the heavy rain in Calabar, you get a glimpse of Nigeria pre-resource curse. Lagos Island looks scrubbed clean. Marina by boat before that awful flyover, with trees and sheeny modernism above. It makes me dream of an alternative history for Nigeria from 1971 to the present day: instead of the descent into military dictatorship, a flourshing and an opening as Nigeria became the superpower of Africa. 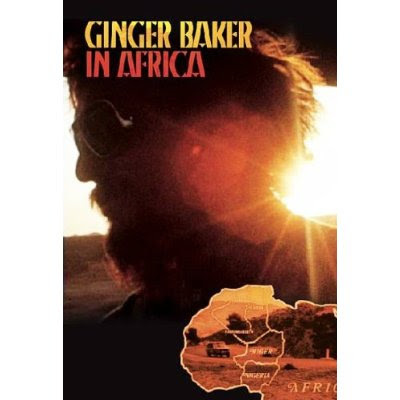 It didn't happen (but it might make a good novel idea), and Ginger Baker in Africa is a capsule lost in time. Fela is dead. Long live Fela. Can I have it tomorrow morning?